Dreamworks heroines. 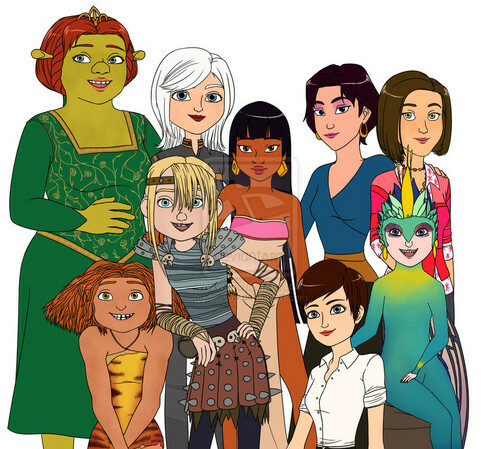 Fiona, Susan, Chel, Marina, Vanessa, Eep, Astrid, Roxanne, Toothiana. HD Wallpaper and background images in the Childhood Animated Movie Heroines club tagged: dreamworks heroines fiona marina chel non disney.